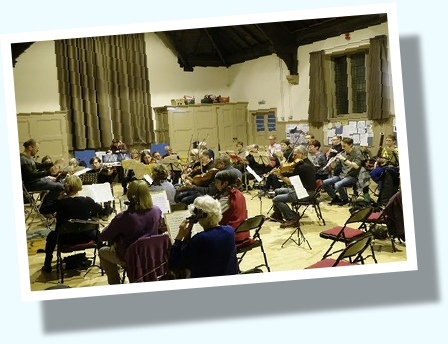 The GCO rehearses on Tuesday evenings from 7.30pm to 10.00pm Rehearsal venues can vary from week to week, so it is important to keep checking the Rehearsal Schedule for the latest information. 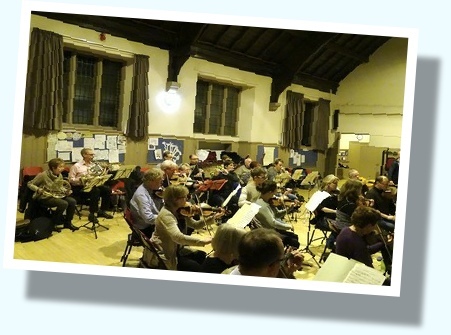 The orchestra has around 40 regular members, with any additional players called in as required for each concert. Our players are keen musicians of all ages and backgrounds who come together under a professional conductor to play music to the highest standard we can achieve. 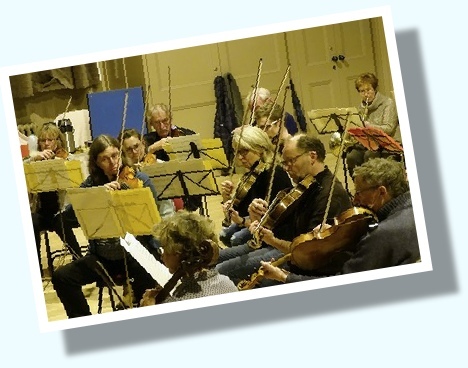 We are a friendly and sociable orchestra, but we do expect players to commit themselves to regular attendance throughout each term, and to undertake private practice between rehearsals. We welcome enquiries from potential new members in all sections. Although we have a very loyal membership, with many long-standing players, vacancies arise from time to time so we are always keen to hear from good, enthusiastic players who are interested in joining us. Ideally, you will be playing to at least the equivalent of Grade 8 level on your instrument. Typically, you would be invited to participate in a few rehearsals prior to taking an audition with our conductor and relevant section leaders. Currently, vacancies exist for French horn, violins, violas and double basses. All members pay an annual subscription, which is set each year at the Annual General Meeting of the orchestra. For the 2018/19 session, this is set at £120. A reduced subscription of £70 is available for students and unwaged members. 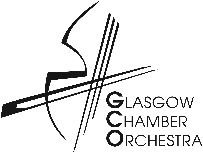 If you are interested in becoming a member, please e-mail us at join@gco.org.uk for further information. Your attention is drawn to the web-page entitled Auditions (follow the link below). This provides details of the procedure that the orchestra adopts to audition prospective new members. Also provided is a list of typical orchestral excepts that you may be asked to play. These will generally be related to the pieces in the current repertoire.